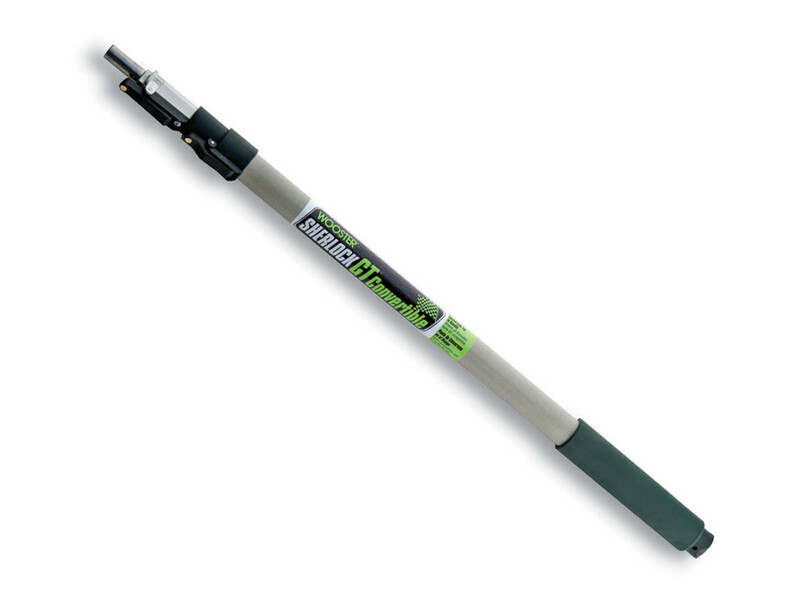 Trade quality extension pole with special bayonet Grip Tip (GT) holds Wooster tools in place so they cannot twist or loosen. The pole comes complete with standard screw fit conversion tip stored in the end of the grip to make all threaded tools compatible. 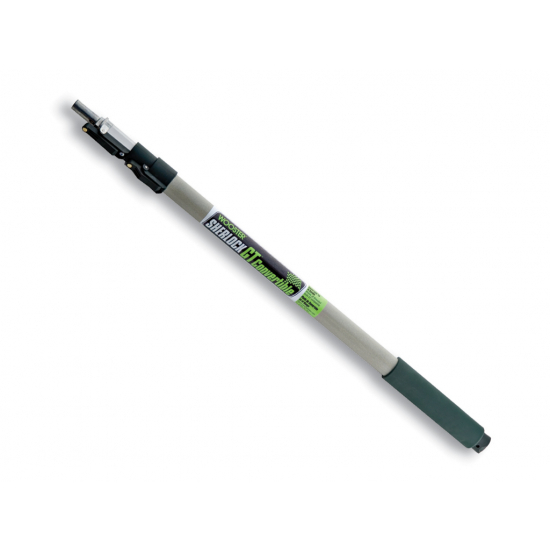 Instantly change tools with one push on the fiberglass reinforced nylon lever. Hexagonal aluminum inner pole prevents twisting; rugged fiberglass outer pole. Easily adjusts in 6 Inch increments with a touch of the thumb, then locks securely in place.